The Wire Mesh Origami "Fabric Metals ORIAMI" Works Exhibition was open at the NAA Art Gallery in Narita Airport from January 31 (Thursday) to February 19, 2019 (Tuesday). 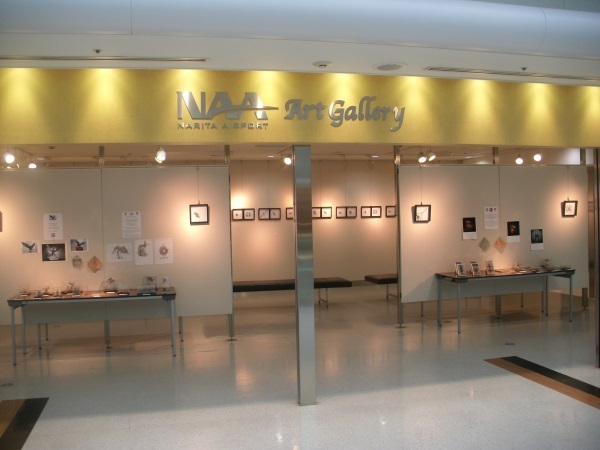 ※The NAA Art Gallery is a facility built for airport users to leisurely enjoy art. 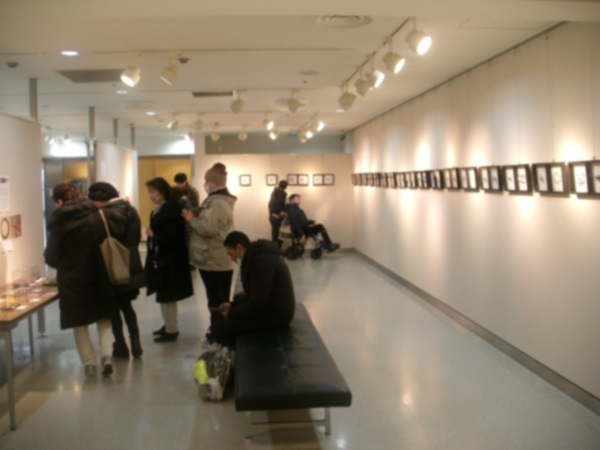 The exhibition area was very spacious and allowed visitors to carefully look at Oriami works. With an incredible number of visitors every day, the exhibition was able to come to a close to great success. The response from visitors to the works was also very favorable. We received pleasant comments like, "While it is easy to fold paper origami, I was astonished to see these kinds of genuine works that were able to be created." In addition, the state of the exhibition was also introduced on a TBS television program, "Sakagami & Sashihara no Tsuburenai Mise". In order for even just one more person to know about the possibilities of "ORIAMI" materials, more exhibitions are planned to continue in the future. If you have the chance, please stop by and take a look.